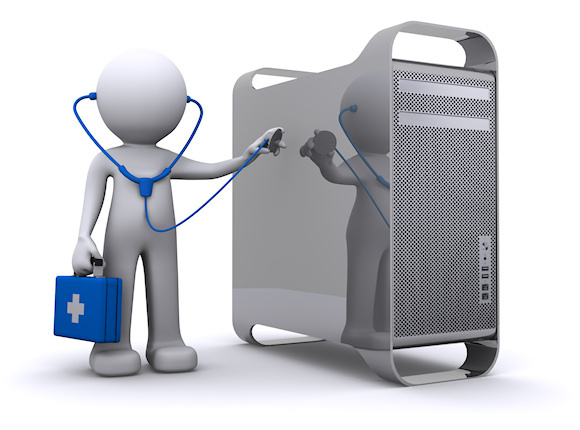 Remote Repair is here to help you find the right sources for any of your technological repair needs. We are here indeed remote, but we're always here to assist in any way we can. With so many different companies, all doing the same thing, it can be difficult to cut through all the clutter to find someone who will get the job done and get it done right. Our goal is to provide our readers with the reliable service the crave and deserve. If you’re looking for a great tech support and repair service, Fix Denver is one of the best we’ve seen. These guys really know what they’re doing and always offer quick, reliable customer service. If your network is slower than it should be or if you’re constantly hitting dead zones, you can call their analysts can help to improve your network. If you’re still a little uncertain about “the cloud,” someone on the Fix Denver team will happily speak with you so you have a better understanding of it and can use it with ease. Security is one of the most prominent concerns in the digital world. You can call and get a security audit to ensure you’re taking the proper steps to remain secure online. Fix Denver’s Firewall management will help you to lock in your security even tighter and keep unwanted intruders out. If you have multiple iPads or iPhones, someone on the Fix Denver team can help you manage them through centralized control, extra security, remote monitoring. If you think your computer has a virus or is running slower than it should; if you’re having issues with printers or need help with any software troubles, these guys can help. Of course, they are a Denver, CO based company. However, they also have options for you to ship a select number of devices to them for them to fix for you. You can discover how to do this on their website. If you’re outside of the Denver area and are in need of their assistance, their prices vary by the amount of time being spent for remote sessions. Would Your Website Pass Our Test? 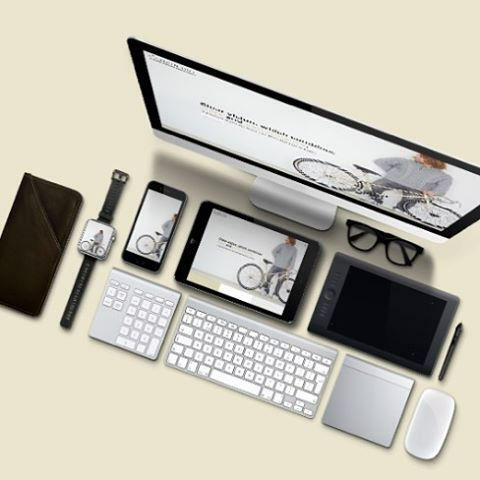 When it comes to web design, there are a few things that should always be present. We’ve created this quick guide for you to use when contemplating the elements you plan to incorporate into your current website or a new project you’re working on. Is there clutter? This is number one for a reason; you’ll probably see or hear this tip anytime web design advice is being given. And that’s because if you have clutter, you don’t have good web design. Simple. “It’s very easy these days to be visually overloaded with images, to the point where our brains stop processing information when confronted with too many options,” says Paolo Vidali, senior digital marketing strategist of DragonSearch, a digital marketing agency. Is my design responsive? This means your website will function properly regardless of what type of device the user is on. The site should automatically adapt to the new device with no issues. This can be a bit difficult for those untrained, so hiring a professional is often the best way to ensure this is done properly. There are great companies for web design in Greenville, SC and all across the board. Find someone near you. Is each page designed as a landing page? Because in reality, it could be. When search engine optimization was just starting out, users would usually go directly to your website and land on the homepage. However, now that search engines have up’d the Annie, users more often wind up on a blog page first. Because of this, you want to be sure you have a contact form, call to action and way for readers to reach you readily visible and available on every page. Is my logo clean? You want to be sure your logo is polished and easily recognizable. “Your logo is an important part of your brand, so make sure it’s located prominently on your site,” suggests Tiffany Monhollon, senior content marketing manager at online marketer ReachLocal. For this reason, you want to make sure readers can always locate it. When in the market for a new printer, there’s always the question: Inkjet or Laser? As many are unaware of the differences, we’ve included the main pros and cons of each, allowing you to make an educated decision for your next printer purchase. Inkjet are usually the most common choice for those simply looking to print basic documents, such as sheets from Word, Excel or an email. Small Size – most Inkjet printers are relatively small and can fit in tight spaces. They may get to be a bit larger if you go with an “All-in-One Inkjet printer,” but they’re still smaller on a relative scale. Low Cost – Inkjet printers tend to be rather affordable, more so than your average laser printer. Cheaper Ink cartridges – the price of ink cartridges are much cheaper, usually about half the price, of a laser toner cartridge. Excellent photo quality – If you purchase an inkjet printer that’s geared towards photo printing, you can come out with some amazing results; vivid colors, high contrast and virtually no pixelation. Less efficient ink use – Inkjet printers tend to be rather inefficient in their ink usage. Because of this, they tend to have a higher cost per page. Slower printing – They can take quite a bit longer to print than laser printers. This may not cause many problems if you’re only printing small documents. However, it can become quite frustrating for larger print jobs. 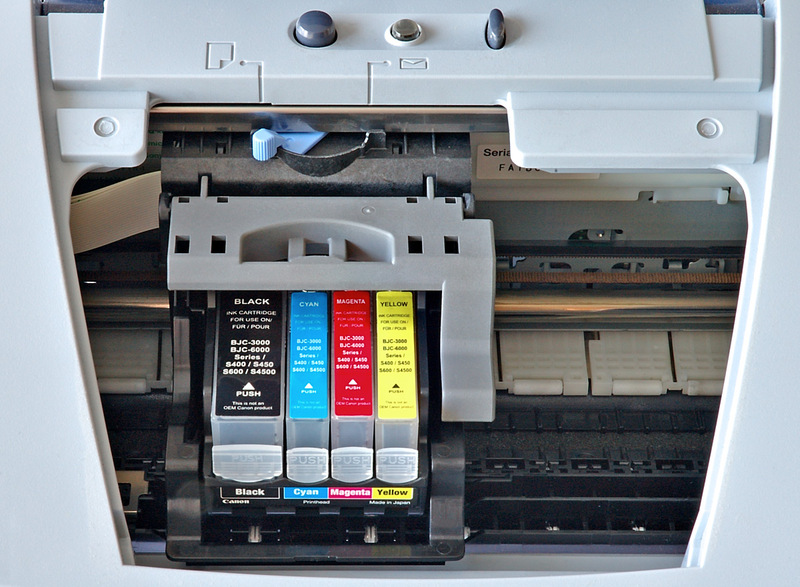 Messy to clean – Inkjet cartridges have been known to leak which can create quite the mess and frustration. Laser printers are most often used in an office setting or anytime there are frequently large quantities of documents being printed. More efficient use of toner – a laser printer much more efficient on toner use than an inkjet. 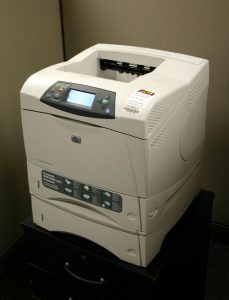 “A laser printers cost per page can be considerably less, which means a total lower cost of ownership over the life of the printer” according to computerhope.com. Excellent print quality – the quality, regardless of which type of document, is most often very high with the use of laser printers. Higher toner cartridge cost – the toner cartridges are significantly higher for laser printers. However, they also last much longer than Inkjet cartridges, making it nearly even in the long run.